Łódź attracts turists with its post-industrial atmosphere, historic factories with characteristic red brick, Art Nouveau houses and the largest in Poland number of villas and palaces. Representative Piotrkowska Street is the longest pedestrian shopping street in Europe, with countless shops, cafes, restaurants, pubs and charming courtyards and woonerfs - along the lines of those in Amsterdam and Berlin. In one of the former factories you can find OFF Piotrkowska. It’s a unique place that brings together representatives of the creative industries. You can have a cup of coffee, wine, dance and visit the studios of architects and designers. At the site of the former power plant EC1 New Center of Lodz is created. It is where Lódź Fabryczna Railway Station is located with an underground factory and the most modern planetarium in Europe. This is also where The National Film Culture Centre is planned. Lodz is the capital of Polish film, often called HollyŁódź. Here operates the Film Museum and the famous film school, where such stars as Andrzej Wajda, Roman Polanski and Krzysztof Kieslowski studied. This is also where Oscar-winning productions like Ida, Peter and the Wolf and Tango were made. Lódź is a paradise for shopping enthusiasts. 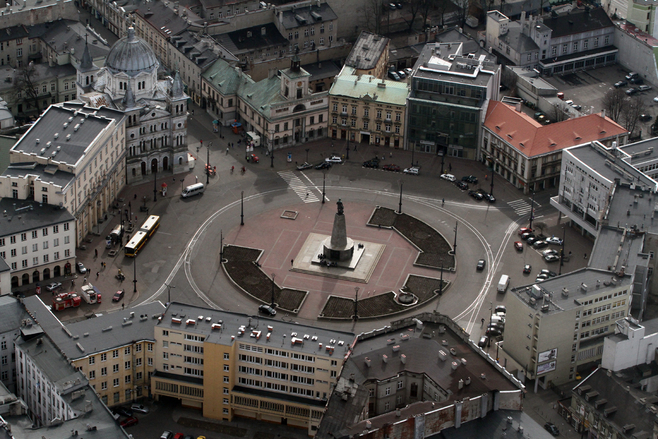 Nearby the Poznanski Palace a shopping – entertainment center called Manufaktura is located. It is one of the flagship shopping centers of the city. As an alternative you can also go to the Gallery of Lodz, Port Lodz or the newly opened Sukcejsa. Łódź has the largest number of parks and green areas in Poland. Adored by Lodzians the Łagiewnicki Forest is one of Europe's largest forest complexes located within the city limits. You can rent a canoe and boat there.